Clearance items are reduced for quick sale. Quantities of this item are limited, vary by store, and may include floor models. To check the availability of this item please contact us. 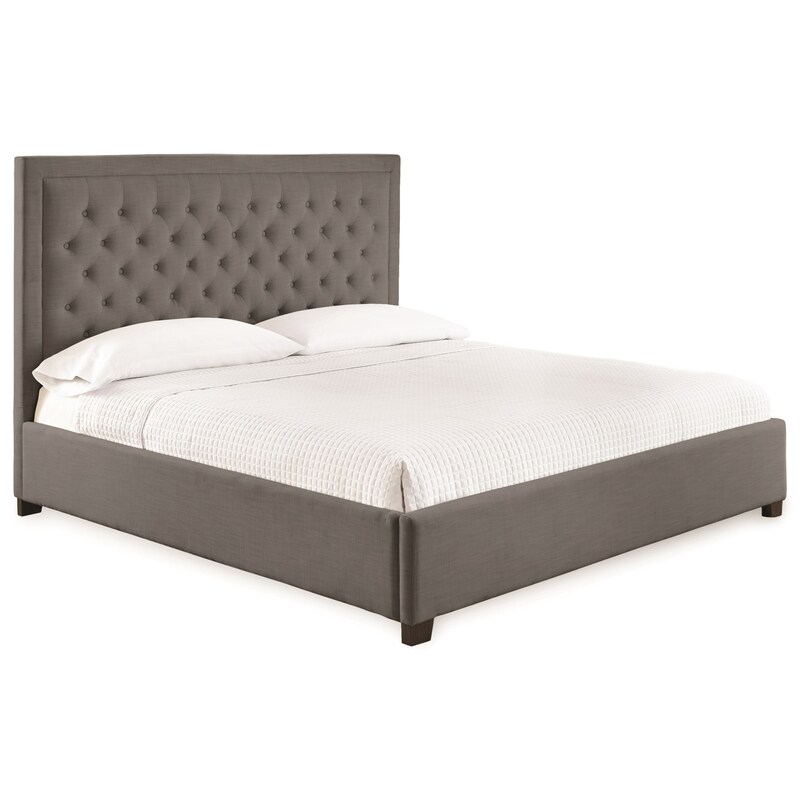 Its clean lined design complete with stylish details, such as the button tufted headboard, create the sophisticated look for this queen upholstered bed. The bed's transitional style is a unique mix of classic sophistication and modern flair. This ensures that no matter how you style your bedroom this bed will continue to bring a regal feel to your room. The Izzy Queen Upholstered Bed with Button Tufting at Morris Home in the Dayton, Cincinnati, Columbus, Ohio, Northern Kentucky area. Product availability may vary. Contact us for the most current availability on this product.